Before Veteran’s Day is over, I thought I would repost two passages from my commonplace book that always come to mind on this day. 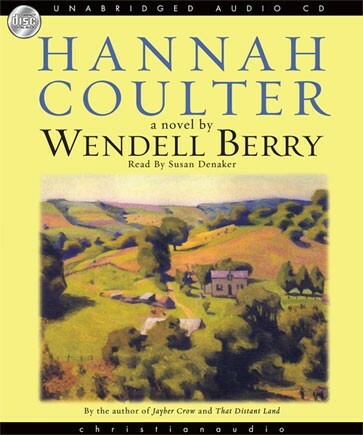 Both come from Wendell Berry’s marvelous novel Hannah Coulter. Hannah Coulter is set in the tiny hamlet of Port William and brings that fictional community to life through the memories of an aged farm wife. Chronologically, the novel spans the period from the Great Depression through the close of the twentieth century, but the emotional heart of the novel grapples with the personal effects of the Second World War. They fought together as brothers-in-arms. They died together and now they sleep side by side. To them we have a solemn obligation. And yet there was very little solemnity around me as I walked around the memorial. The memorial is ringed by two semi-circular walls on which the names of the major battles of the European and Pacific theaters are inscribed, and when I got to the two words “LEYTE GULF”–the battle in which my father’s destroyer was sunk by Japanese suicide bombers–I found it hard to swallow, and for a moment, difficult to see. And yet all around me there were children laughing and playing, teenagers eating hot dogs and taking selfies, and tired parents resting on the names of battles at which Americans had died. If an experience can be inspiring and depressing simultaneously, this one was. All of which has got me to thinking about a different kind of WWII memorial, namely the dwindling number of surviving WWII veterans. Roughly 97 percent of those who served our country during World War Two are now gone. Many who are still with us are past sharing about their experiences, and many never wished to. Hannah’s reflections about her second husband remind me of my own father’s unwillingness—or inability—to share about his wartime experiences. As I have noted before, my dad saw extensive action in the South Pacific from 1942-1944. On the third anniversary of Pearl Harbor, his destroyer, the U.S.S. Mahan, was hit by three Japanese Kamikaze suicide bombers off the coast of the Philippines and sunk. Dad has always been willing to share this much, but no more. What he felt when he heard the crash of the Kamikazes, what he thought when the forward magazine on the Mahan exploded, what he saw as he headed toward the side, what went through his mind when he jumped into the oil-coated bay, what, perhaps, he prayed as he bobbed in the water while the battle continued to rage—these are things that Dad never once offered to share. When I began this blog, I promised to deliver essays that explored the intersection of Christian faith, the life of the mind, and the study of the past. This post will seem a little removed from that, but hang in there, and I think you’ll see a connection. 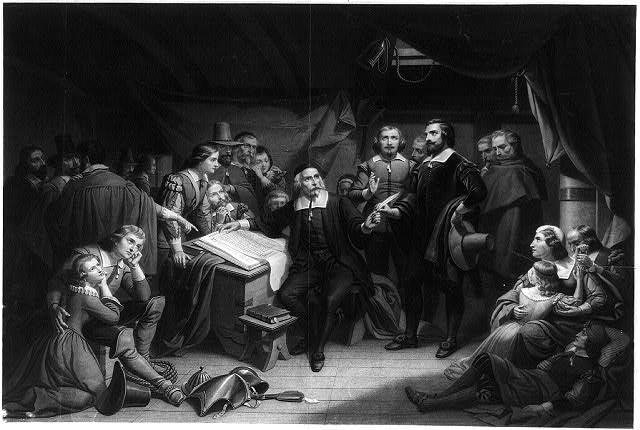 I had heard my younger daughter speak fondly of George Herbert before, but I knew almost nothing about him when I took my seat on the stage at Wheaton’s convocation this past August. “Convocation” is what we call the opening chapel service of the academic year. Wheaton has required chapel services three times a week, but the convocation is considerably more formal than these. The college’s two hundred or so faculty file into the chapel wearing caps and gowns, and it’s a stirring experience. The entire school is gathered under one roof—which I think is neat in and of itself—and the students and faculty sing an opening hymn while the chapel’s massive pipe organ makes the pews vibrate. Sometimes the relentless daily demands of my job cause me to lose sight of the eternal significance of my calling as a teacher. Never during convocation. When the organ is blasting away, and I look out on the student body for the first time since the summer’s hiatus, I regularly feel both delight and fear. I feel anew the wonder that God has called me to labor in this place, and I sense again—as if for the first time—the weight of responsibility that is part of the calling. These words impressed me deeply, and through blurry eyes I scrawled the phrase “griefs to sing” on my program and determined to locate the entire poem as soon as I could. When I got back to my office, a quick Google search took me to Herbert’s poem “Joseph’s Coat,” published in 1633. That same day I entered the entire poem into my commonplace book. I’ve shared it since with several family members and students, and I want to share it with you in a moment. But first, a little context. 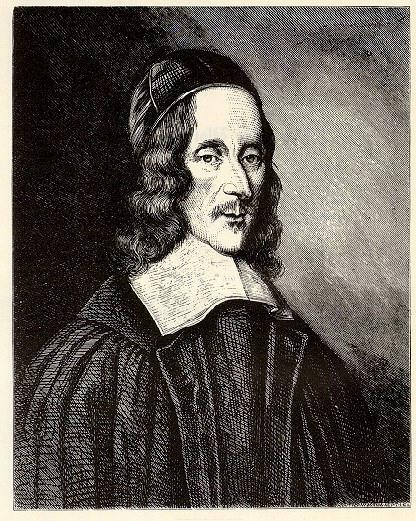 George Herbert (1593-1633) was born into a powerful English family. His father held the aristocratic title “Lord of Cherbury” and sat in Parliament. The son, who was educated at Cambridge and became a favorite of James I, seemed destined to a life of wealth, prestige, and political prominence before he decided to take orders as an Anglican priest in his mid-thirties. 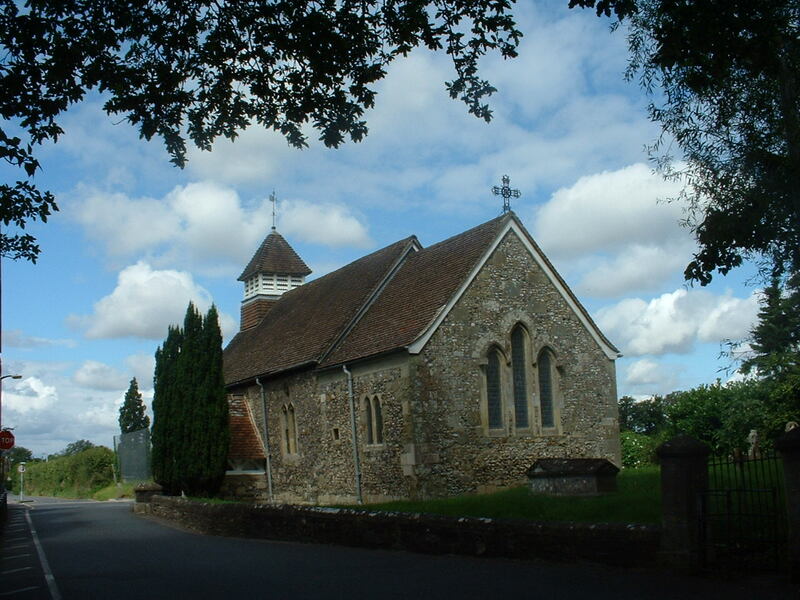 For three years he labored as a country parson in a tiny parish southwest of London, before succumbing to tuberculosis at the age of thirty-nine. “Joseph’s Coat” is part of a collection of poems by Herbert that was published shortly after his death. Who changeth all things, as him pleaseth best. The image here, as I understand it, is one of opposites. The writer has been dealing with a great trial of some sort, a trial so severe that he speaks of being “wounded,” “tormented,” and “thrown down.” And yet this great pain has been leavened with joy. It is a divine gift, Herbert understands, attributable only to the one who “changeth all things, as him pleaseth best.” It is a joy so powerful and life-giving that Herbert can now sing despite his wounds, compose poetry (this is the meaning of “indite”) amid his torment, and find peace and rest while being thrown down. To fetch the body; both being due to grief. To linger in me, and together languish. 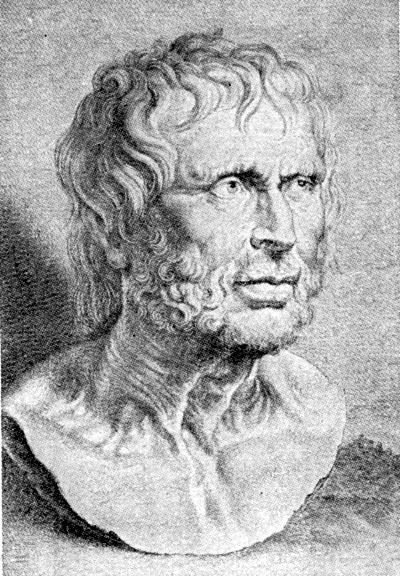 Herbert reveals that “many” griefs have weighed him down, and he is convinced that if even one of these had been given full sway he could never have survived the assault. (Is there a veiled allusion here to the attraction of suicide?) Undiluted, Herbert’s grief would have been unbearable. Absent the mercy of God, it would have triumphed, prompting body and soul to long for death, literally propelling both to run toward the grave. (A biere was a wooden platform that the dead were placed on before burial.) And yet God in his mercy did intervene. But He hath spoiled the race—this is probably my favorite phrase in the poem. God sends joy as a balm to the writer’s anguish. I find it significant that Herbert does not write that his anguish disappears. This is about a million miles away from happy-clappy-your-best-life-now theology. The joy that Herbert writes about brings relief and revives hope. But nowhere does Herbert suggest that God has completely eliminated his suffering. In a sense, God has done something more amazing. He has empowered him to live victoriously in the midst of his trial. My joyes to weep, and now my griefs to sing. Unfortunately, as Margaret Bendroth notes in her wonderful little book, The Spiritual Discipline of Remembering, most of us live “stranded in the present.” (You can read my review here.) We may refer to the “communion of the saints” when we recite the Apostles’ Creed, but we shut ourselves off almost entirely from the Church across the ages. George Herbert penned “Joseph’s Coat” nearly four centuries ago. 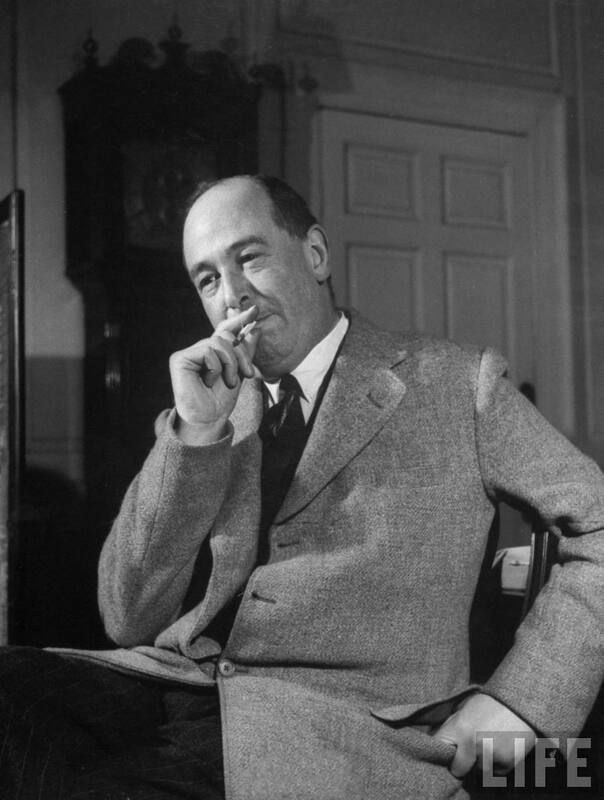 I went into a national chain Christian bookstore recently, and apart from a couple of books by C. S. Lewis, I didn’t find a single work more than twenty years old. Yes, we are stranded in the present, and our lives are poorer for it.